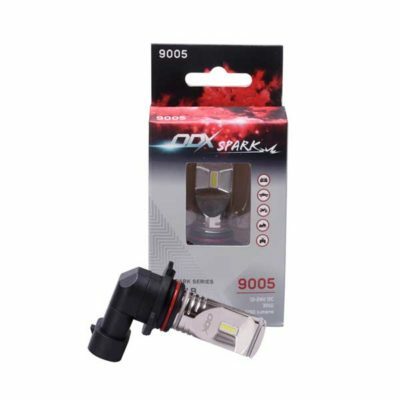 ODX SPARK bulbs are perfect for replacing your original bulbs and help convert your vehicle to LED in a simple and affordable way. They are the same size as your original bulbs, without fan or ballast, and can be installed everywhere. Versatility: Easy to install in low beam, high beam or fog lamps. All types of vehicles, whether it is passenger vehicles, commercial trucks, all-terrain vehicles, motorcycles, snowmobiles, etc. Installation: Easy, no adjustment needed. Design: Entirely designed in aerospace grade aluminum. Reliability: Normal service life exceeding 30000 hours. 100% waterproof, resistant to mud, snow, shocks, vibration and dust. Can tolerate weather conditions from -40c up to + 80c. Color: Cold white is 6500K.